Once again, the beautiful, purple-blue sweet violets are dotting the landscape. Where I live, they are in full bloom and will remain that way for the next few weeks. Last year I shared a traditional candied violet recipe with egg white as well as instructions for harvesting….this year, I wanted to share two recipes for violets both using sustainable, local ingredients: honey and maple syrup. As a reminder, with any wild food foraging, please abide by ethical and safety guidelines (see my two-part series of posts on wild food foraging here and here). 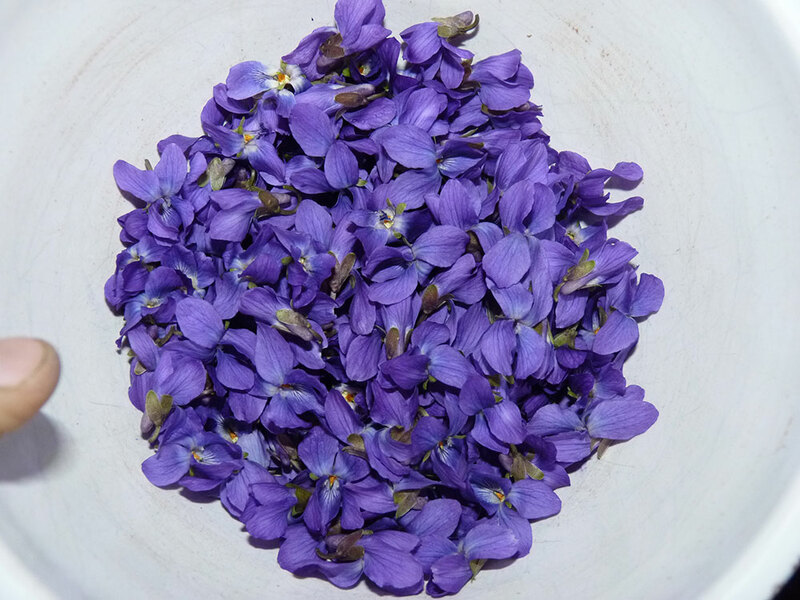 Honeyed violets are so simple to make and so wonderful. They also make a great gift! All that you do is gather up a bunch of violets, wash them, and then dry them and stick them in a jar full of local honey (maybe even from your own beehives!) To make the violets, stuff them in the jar and add honey. The violets will all float to the surface and stay that way (which is fine as long as they are fully coated in honey). 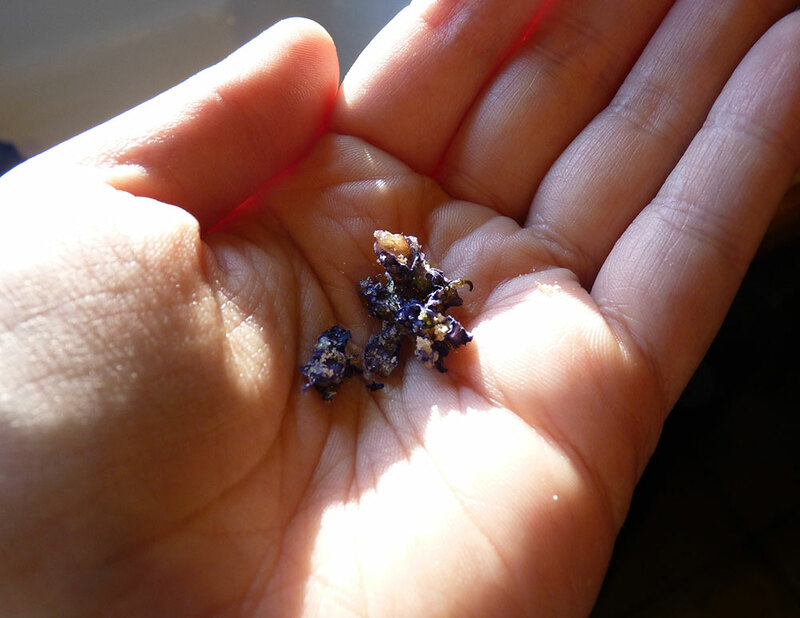 They will also slowly fade their color over time, but that’s just more violety goodness going into the honey. I have found that violets preserved this way last six months or more! 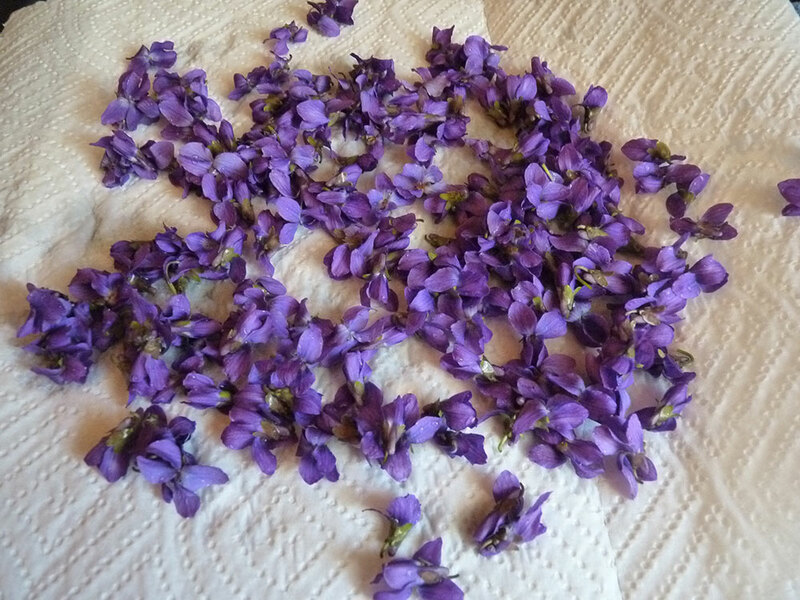 The alternative recipe is to dry out the violets first then add them to the honey–I have a jar of dried honeyed violets that is over a year old and still good. 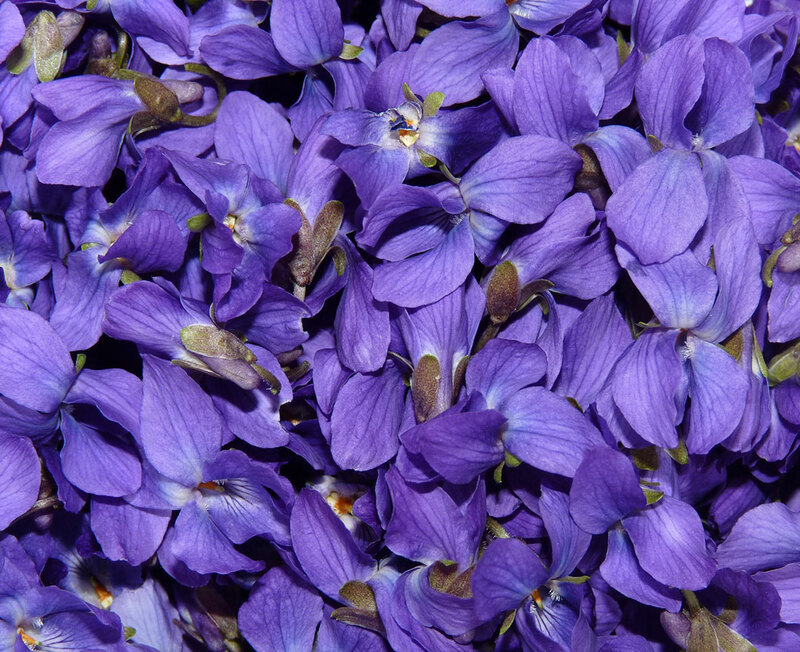 I enjoy having honeyed violets with my tea–I add a teaspoon of honeyed violets to a cup of warm tea! Honeyed violets from last year! For either version, start by picking some lovely fresh violets. ….and then let them dry. Now, get a small saucepan. 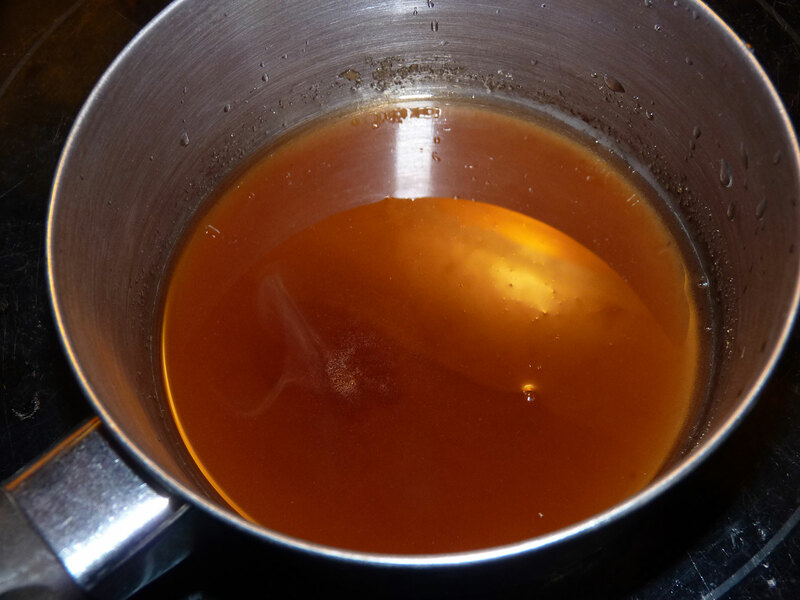 Either add maple syrup to the saucepan OR dissolve a few tablespoons of maple sugar in the saucepan with hot water (I did the second, but either works as effectively). 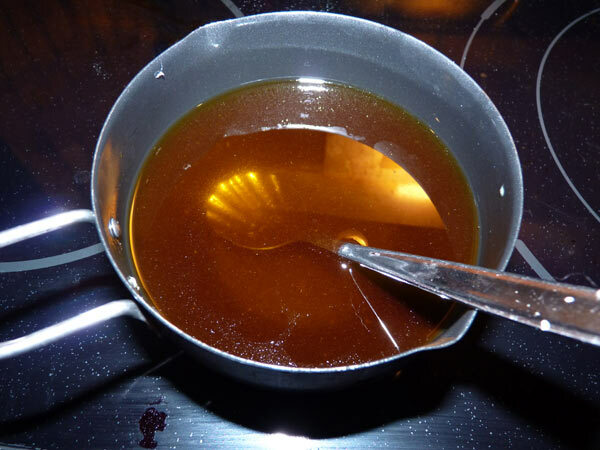 For maple sugar, I added 3 tbsp of maple sugar and 2 tbsp of water and dissolved it. Syrup or sugar syrup ready for violets. After they are coated, you can pull them out one by one, laying them on some waxed paper or parchment paper to dry. The less maple they have on them, the longer they take to dry. 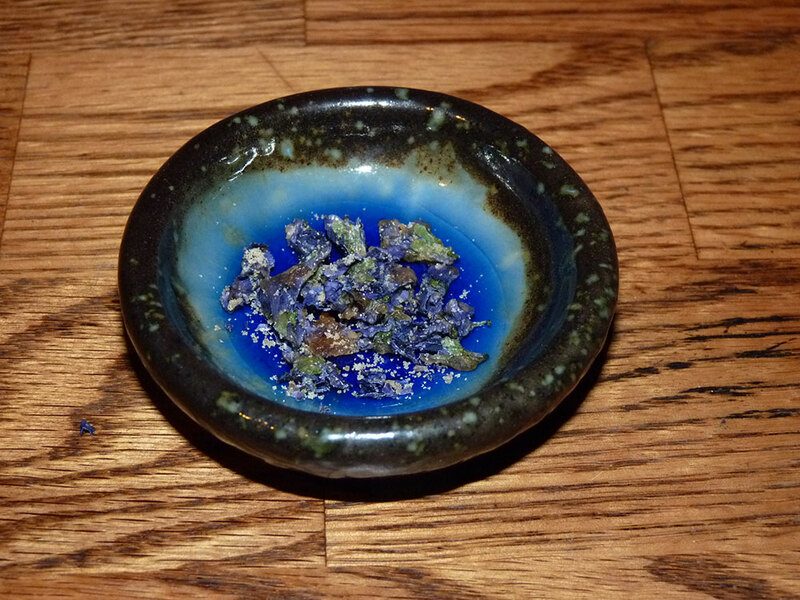 I also chose to sprinkle my violets with a little extra maple sugar. 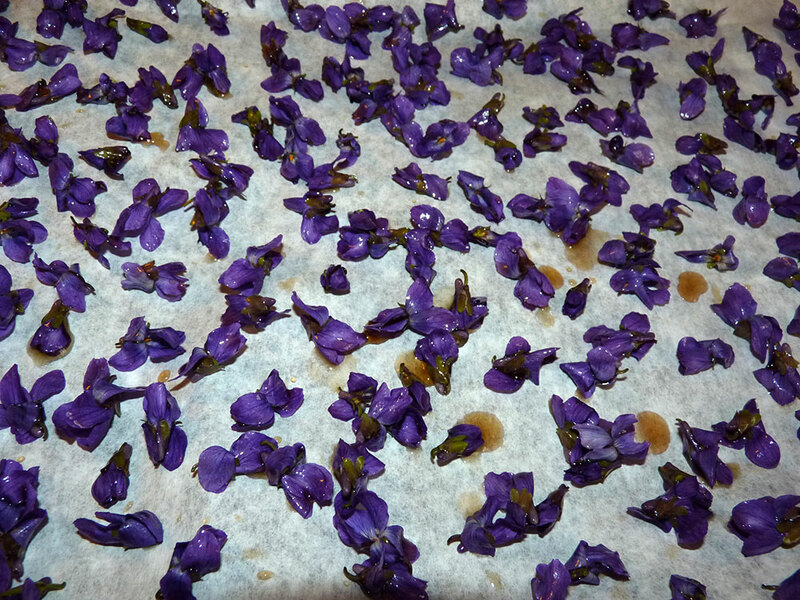 Violets on parchment – some of these had too much sugar (see the pools of it?) That much sugar takes longer to dry. 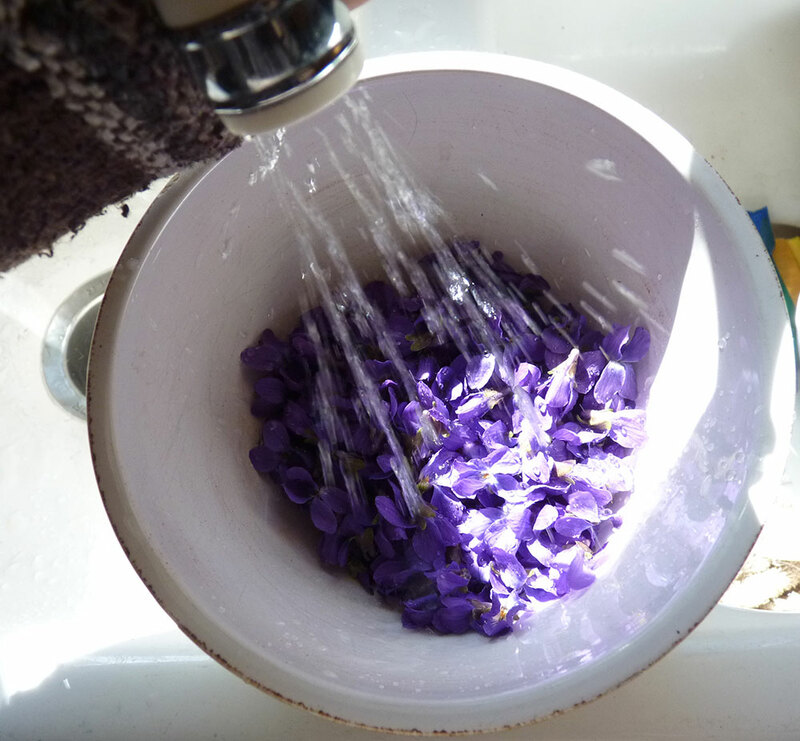 Place your violets somewhere where they can spend the next two to three days drying. Once they are dry, they will shrivel up a bit, but otherwise retain their color wonderfully. I like to sit these on the table during meals as a little additional treat. You can also grind them up and use them as sustainable sprinkles on cookies, cakes, and ice cream. 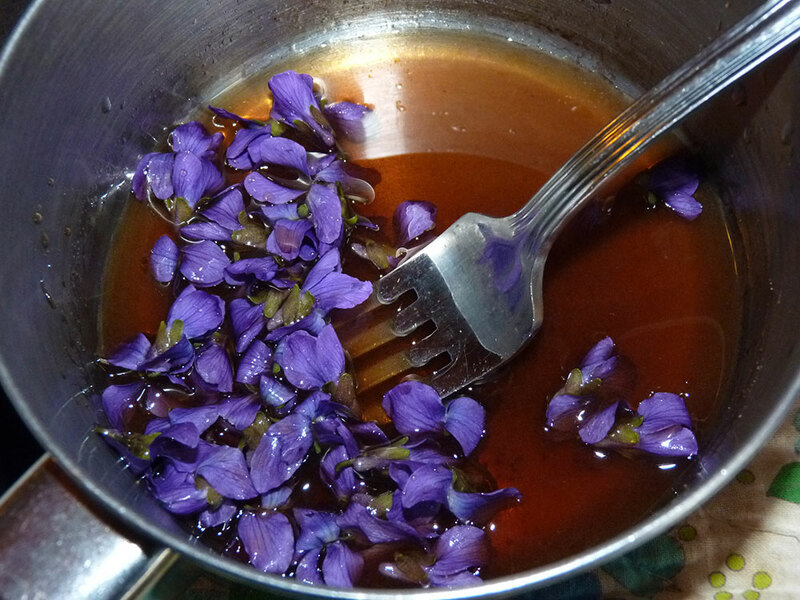 I love how sustainable these two violet recipes are–I made both with honey and maple sugar produced right here on my homestead. I think sometimes that we forget about the bounty that nature provides us. Walking in the forest and get bit by a mosquito? Use some fresh jewelweed. Picking berries and get scratched by brambles? Use some fresh jewelweed. How about that pesky stinging nettle? You guessed it, jewelweed. 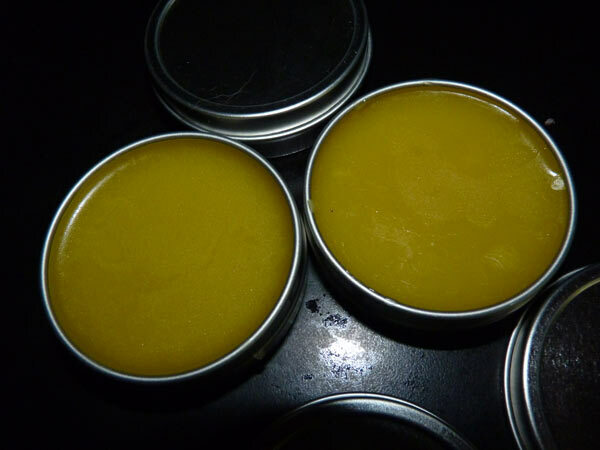 I sought to create a salve that could be used year-round that contained jewelweed’s restorative properties. Here’s what I came up with–it works wonderfully on burns, cuts and bug bites! 1 1/2 cups loosely packed grated beeswax (you can use more or less, depending on how thick you want your salve. If you add more, it will become the consistency of lip balm; less, the consistency of a jelly. This amount is somewhere in between). Essential oils: Tea Tree, Lavender, and Sweet Orange (or others of your choice, just make sure they are skin safe; the ones listed have healing/antiseptic properties). Small containers to put in your finished salve. I like using these from Mountain Rose Herbs. Go out and pick your fresh jewelweed. I picked mine just as they were done flowering. Once you have picked it, rinse it off, removing any dirt or roots that you pulled out. Coarsely chop up the jewelweed and add it to the pot. Add the 2 cups good quality olive oil. Bring the oil to a simmer, and simmer the Jewelweed for 1 hour until it is cooked down. At this stage, I will cover the pot and let it cool down, then let it sit overnight before finishing the recipe. This allows the jewelweed to be infused with the olive oil. 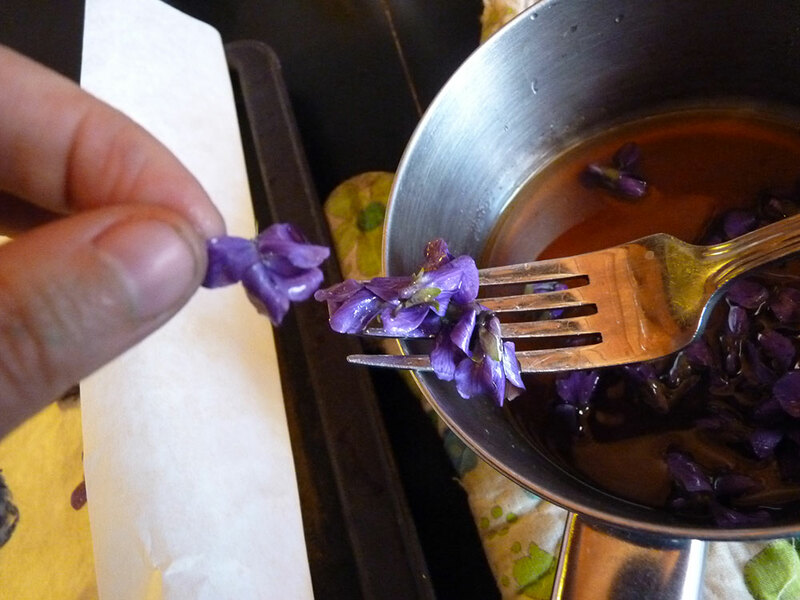 Strain the jewelweed from the olive oil. If you have a cheesecloth, this works best. I didn’t have one last time I made it, so I used a metal strainer and a metal spoon. 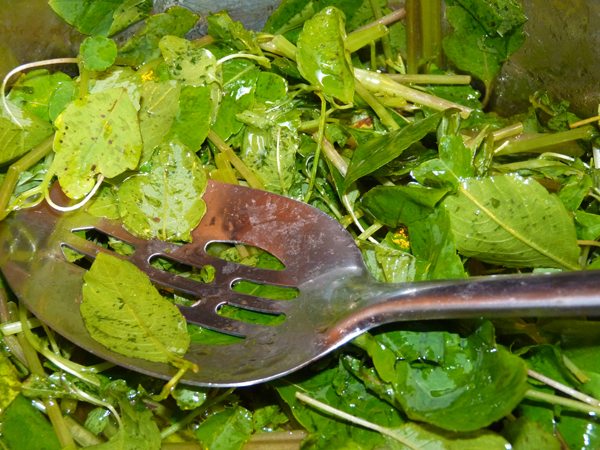 Rinse out and dry your pot so no jewelweed particles are left in the pot. Grate your beeswax and measure it out. I suggest adding less beeswax at first so that you can get the consistency of the salve you want. 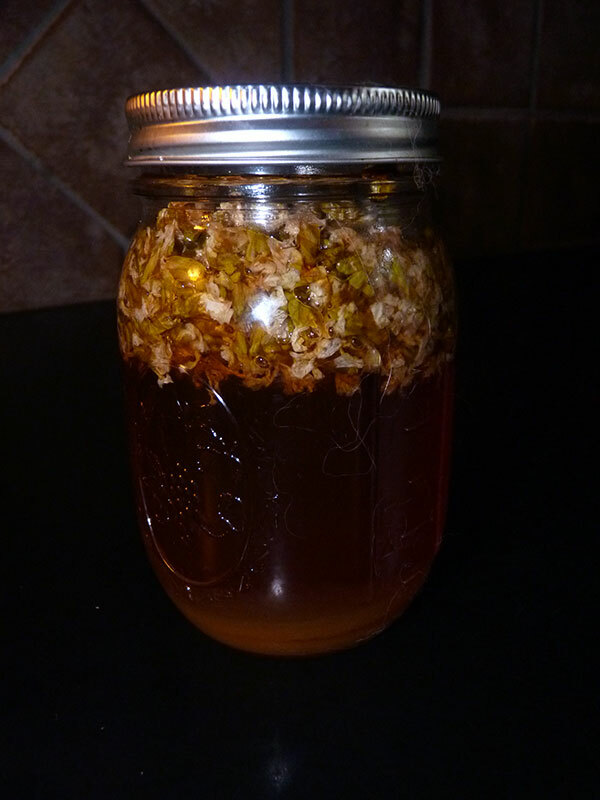 While you are grating, heat your jewelweed-infused olive oil back up. Add your beeswax. Stir until the beeswax is melted. To check the consistency of your salve, you can put a spoon in the freezer and then drop a little bit of the mixture onto the spoon. It should solidify and then you can see how thick it is, and if you want it thicker, add more grated beeswax. Make sure the beeswax is fully melted. 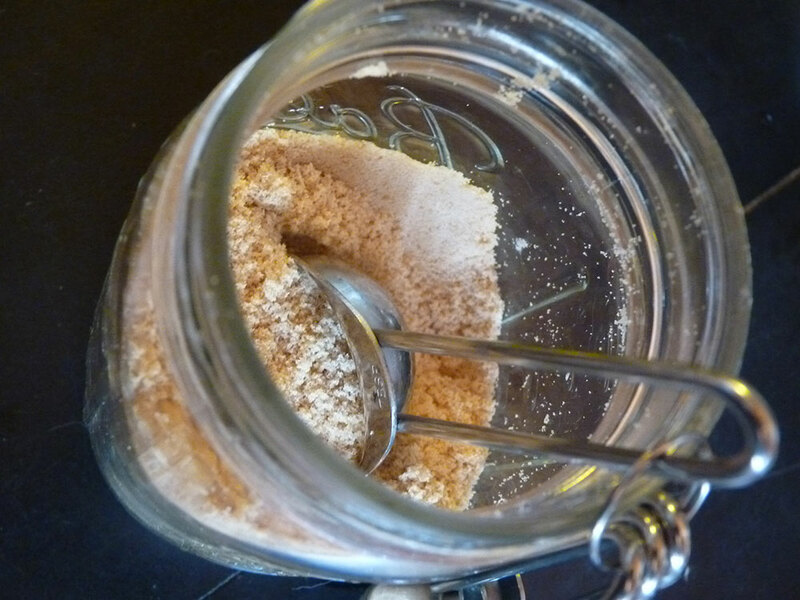 This image shows the mixture after essential oils are also added. Once you are happy with your consistency, add about 20-30 drops of essential oil to make it smell nice and give it additional healing qualities. For my mix, I added 10 drops each of sweet orange, tea tree, and lavender. Stir it up to make sure the oils are all mixed. Carefully pour your mixture into small tins. Let set for about 30 minutes, or until cool. Store in a cool, dry place and enjoy! Give some to your friends! The salve cooled off and in tins!